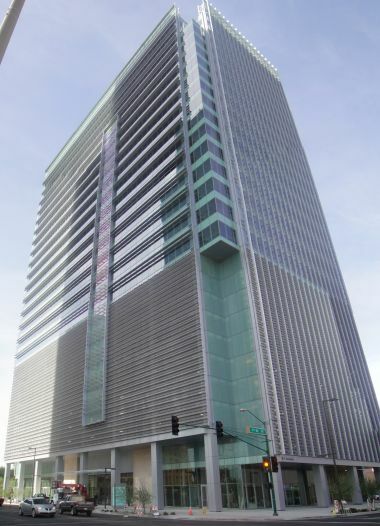 The offices of the Arizona Commerce Authority are housed in downtown Phoenix at the Freeport-McMoRan Center, the gleaming glass headquarters of an international mining firm of the same name. The authority, which oversees state corporate tax incentives and grants worth hundreds of millions of dollars, is not quite a public agency, as its location two miles east of the state government complex suggests. It’s led by a board of directors run by the governor and Jerry Colangelo, who, after four decades as an Arizona sports and real estate mogul, is a local icon. Sixteen other corporate executives also sit on the board, including Richard Adkerson, President and CEO of Freeport, to which the authority paid about $411,000 in state funds last fiscal year for renting the space. There’s a name for this arrangement. The Commerce Authority is a “quasi-public” entity, or a public-private partnership. About 10 other states have also given control over lucrative corporate tax incentives to similar organizations, which are often run by the states’ most influential businessmen, generally at the pleasure of the governor. Supporters say these partnerships are more nimble than government bureaucracies and are insulated from the vagaries of electoral politics. 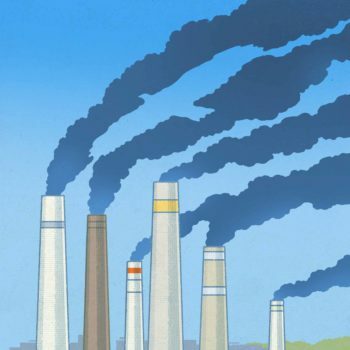 But both liberal and conservative watchdog groups say the practice takes a government function already prone to mismanagement and obfuscation and makes the situation worse by giving oversight of business incentives to businesses themselves. 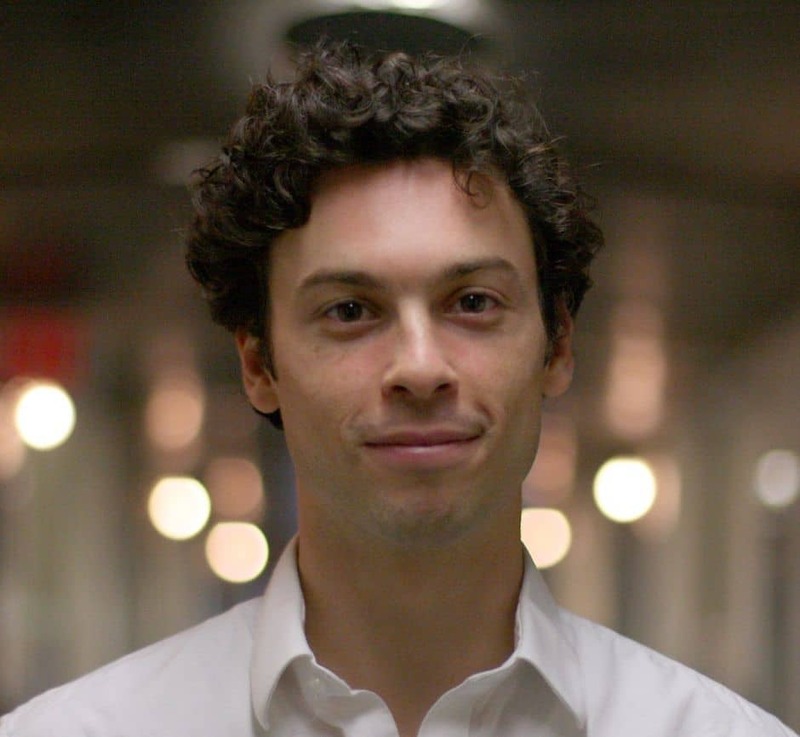 “There’s a lot of potential for powerful special interests to abuse the public purse,” says Phineas Baxandall, a senior policy analyst at US PIRG, a liberal advocacy group. 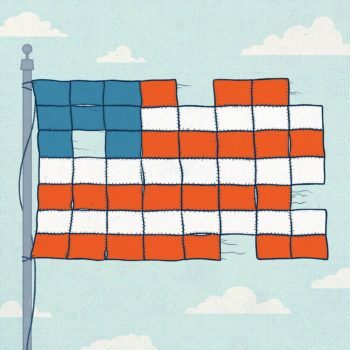 In recent years, state governments have been racing to out-spend their neighbors wooing corporations — they’ve nearly doubled their number of economic incentive programs since 1999 to about 1,800, according to the Council for Community and Economic Research, an economic development membership group. But much of this spending remains shrouded in secrecy. Even most public agencies do not disclose the recipients of all the incentives because of tax privacy laws. But privatization raises a unique set of concerns. Ohio, for example, created JobsOhio in 2011 as an independent nonprofit, exempting it from most state ethics and open records laws and, as of this year, from government audits. Other states, including Arizona, have applied ethics and freedom of information laws to the entities but have carved out exemptions for cases in which board members decide that disclosing information could divulge confidential corporate data. Florida, Michigan, Indiana, Wisconsin, Iowa, Wyoming, Rhode Island and Virginia have also created similar entities, from the fully independent, like Ohio’s, to quasi-public agencies. Most have also established related private foundations that receive anonymous contributions, which eventually fund travel for public officials or entertainment for business executives. 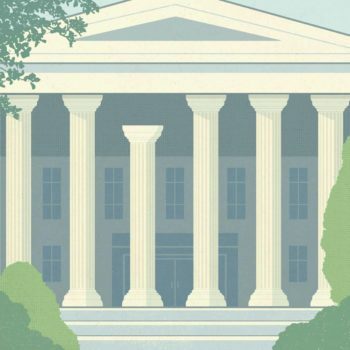 In each case, states have given oversight of millions of dollars in public money to entities led at least in part by corporate leaders — while shielding some of their activities from public view. The Commerce Authority says it is committed to transparency, but officials declined repeated requests to interview its CEO, Sandra Watson, and did not respond to a set of emailed questions. When approached by a Center reporter at a breakfast for business leaders at the JW Marriott Desert Ridge Resort & Spa, Watson cheerily declined to speak. Jerry Colangelo also declined to comment through his assistant, as did each of the other four board members who were contacted by the Center. While there is no evidence of corruption or direct conflicts of interest for board members, the authority has given a handful of small grants totaling nearly $13,000 to companies owned by director Gary Abrams. Additionally, board members’ private interests have occasionally aligned with official policies of the authority, as with a proposal to build a new interstate highway from Phoenix to Las Vegas. But good-government groups say it’s impossible to know for sure whether there are more serious conflicts because the authority, like most of its peers in other states, does not make public all the recipients of tax incentives. “It’s hard to imagine a situation more ripe for potential abuse,” Baxandall says. 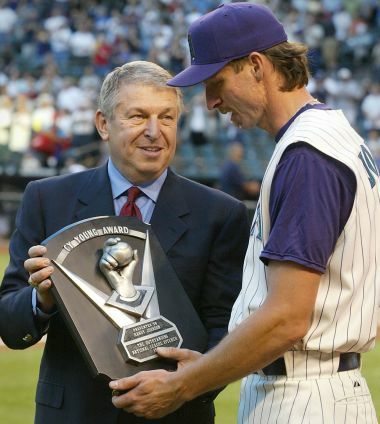 Arizona Diamondbacks pitcher Randy Johnson, right, is presented the CY Young award by team owner Jerry Colangelo prior to an April 2003 Diamondbacks game April 1, 2003 at Bank One Ballpark in Phoenix. Gov. 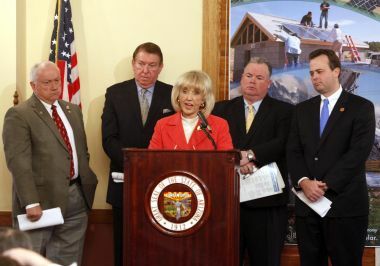 Jan Brewer speaks February 2011 at the Capitol in Phoenix to announce a concurrent legislative special session on business tax cuts and other steps that supporters say will boost economic development. 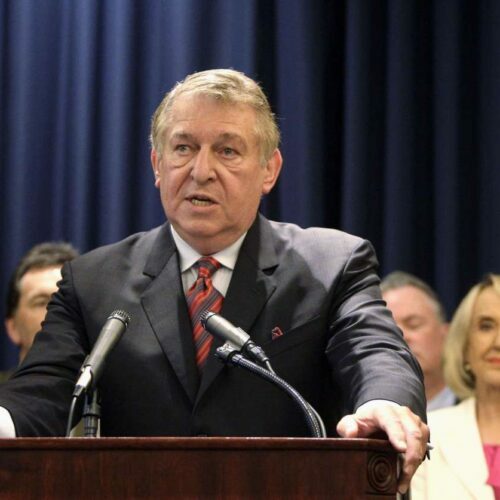 From left is Arizona Sen. President Russell Pearce, Jerry Colangelo and Don Cardon, co-chairs of the Arizona Commerce Authority, and Arizona State Senate President Kirk Adams. The Arizona Commerce Authority is one of Gov. Jan Brewer’s signature achievements, but its public face has been Jerry Colangelo, the former owner of the Phoenix Suns and Arizona Diamondbacks. Colangelo is widely praised for helping transform Phoenix into the sprawling, cosmopolitan urban center that it is today. The glass-encased arena and stadium he helped build sit side-by-side, anchoring downtown just four blocks from the authority headquarters. Since selling his interests in the Suns and Diamondbacks in 2004, Colangelo has led a successful career in real estate development and has run the U.S.A. national basketball program. In 2006, President George W. Bush named him to the President’s Council on Service and Civic Participation. Soon after assuming office in 2009, Brewer, a conservative Republican, asked Colangelo to help her remake the state’s Commerce Department, which had been criticized as ineffective. The Great Recession wreaked havoc on Arizona’s real-estate-dependent economy and Brewer was keen to show she would bring jobs to the state. In early 2010, Colangelo led a governor’s council that recommended eliminating the department and replacing it with a quasi-public entity. By June, Brewer created the Commerce Authority via executive order and appointed Colangelo as co-chairman. In February 2011, the legislature authorized the authority to replace the Commerce Department. Sixteen other business executives populate the board, with nine appointed by the governor, who serves as chairwoman; the rest of the board is named by the Senate president and speaker of the House, who also sit on the board as two of 13 non-voting members from the legislature, state universities and other government commissions. Five board members or their companies have contributed a total of $25,684 to Jan PAC, Brewer’s super PAC, or political action committee, over the last three years, including $5,000 from Colangelo last year. In her 2010 campaign, Brewer used Arizona’s matching campaign finance system and as a result was limited from receiving large direct contributions. The legislation that created the authority also boosted economic development funding, increasing the authority’s budget to $10 million, a 64 percent hike over the Commerce Department budget, and allocating tens of millions of public dollars to new grant programs. Among those programs: a $25 million “deal-closing fund,” from which the authority’s CEO, who is appointed by the board, can write checks to companies willing to relocate to the state. The authority started with a bang, just not the one Brewer wanted. The board of directors awarded a three-year contract worth about $1 million to its first CEO, Don Cardon. That worked out to almost twice Cardon’s previous annual salary of $183,000 as director of the old Commerce Department, to which Brewer appointed him to oversee the transition. Legislators from both parties were outraged, so Colangelo and Cardon announced that about half of the pay would come from a private foundation they had established: Team ACA. Brewer had initially mentioned Team ACA in August 2011, at the Commerce Authority’s first official board meeting, when she announced that the authority would create a private “investment” arm, with Colangelo as chairman. The papers were filed the next month, but hardly anybody noticed until Colangelo announced in January that the privately-funded group would pay half of Cardon’s salary. Rather than quiet the furor, that move only raised questions about who was funding Team ACA, which was run at the time by Cardon, Colangelo and executives from Alliance Bank of Arizona, one of the state’s largest, and Apollo Group, which owns the for-profit University of Phoenix. The office that Team ACA listed on its state filings until this month is on the seventh floor of a boxy, sand-colored building in downtown Phoenix, currently occupied by a company called Marketplace One. When a Center reporter visited in September, a receptionist said Cardon is a friend of the owner and that he briefly rented the space but left years ago. In addition to $138,657 that it gave the authority, reportedly for Cardon’s salary, Team ACA spent about $83,000 assisting the authority through June 2012, the most recent data available, and an additional $35,000 on advertising and promotion. It has continued to fund entertainment and travel for the authority, spending about $9,500 to buy business class seats for Brewer and an aide on flights to Europe for an economic development trip last year, for example. Team ACA has declined to make all of its donors public, but Cardon told the Capitol Times in October 2012 that the organization had secured a three-year $600,000 commitment from Alliance Bank and Apollo Group. The controversy over Team ACA funding only grew worse when Cardon abruptly announced his resignation as CEO of the Commerce Authority in January 2012, only to quietly stay on as director of Team ACA. Who funds the shadowy nonprofit behind Arizona’s economic development initiatives? But Team ACA has done little to ease concerns over its secrecy. 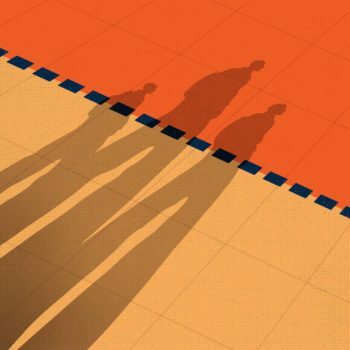 Efforts to obtain the foundation’s public tax forms resulted in a labyrinthine pursuit. In addition to the Team ACA money, the Commerce Authority received $50,000 this year from Arizona Public Service, the state’s largest utility. While the authority does post much of its financial data on a state website and publishes an annual report, lawmakers including Campbell and Eddie Farnsworth, a House Republican, have said the reporting and oversight are inadequate. Campbell introduced a bill this year that would have increased reporting to the legislature and required the authority to make public all grant and incentive recipients; the measure also would have required the state auditor to perform a review every three years. Currently, the authority submits a private, independent audit. The auditor general has 30 days to initiate its own review, but it has declined to do so. The bill never saw a vote. Despite these controversies, the Commerce Authority has plenty of backers. “It’s put Arizona on par with some of the best states for business,” says Ioanna Morfessis, who founded the Greater Phoenix Economic Council, a local public-private partnership, and is also a paid consultant for the authority. In its year-end report for fiscal year 2013, the authority said it assisted 104 planned projects that will create 15,262 jobs. Doug MacEachern, a member of the Arizona Republic editorial board, in August 2012 wrote that while the authority needed to improve transparency, it was “far better” than the Commerce Department it replaced. It has also taken some steps toward transparency, by announcing quarterly the recipients of the “deal-closing fund,” for example. The most recent report shows three grants, including $1.5 million given to the Go Daddy Group, Inc., an Arizona-based company, to help with an expansion that is supposed to create 300 jobs. None of the tax incentives were public under the old Commerce Department either. Serena Unrein, the public interest advocate at Arizona PIRG, said there’s been no evidence of malfeasance, but that without full transparency, it’s impossible to know for sure. As Brewer was privatizing economic development in Arizona, Republican colleagues in three other states were on similar paths. Gov. John Kasich’s efforts in Ohio have been especially controversial. Within weeks of taking office in 2011, Kasich was pushing legislation that eventually created JobsOhio, an independent nonprofit corporation that assumed economic development responsibilities for the Buckeye State from the old Department of Development in July of that year. The organization is led by a nine-member private-sector board, appointed by Kasich. It is not subject to open records laws. After the state auditor, a Republican, threatened to subpoena records for an audit this year, the legislature passed a bill, pushed by Kasich, to shield the entity from any future audits. JobsOhio has argued that its funding is private: for $1.4 billion, it purchased a 25-year lease of the state’s liquor sales profits, worth about $100 million a year. The deal was funded with a bond, issued by JobsOhio. It, too, has received private donations both directly and through a related nonprofit, the JobsOhio Beverage System — a total of $6.9 million from five anonymous donors in its first year of operation, according to the Columbus Dispatch. One of those donors, according to the Dispatch, was American Electric Power, based in Columbus, which gave $2.45 million. In July, the Dayton Daily News reported that six of the nine board members had financial ties to companies that have received incentives from the state, though several of the deals in question were approved before JobsOhio began operating. The organization also helped secure hundreds of thousands of dollars in incentives for Worthington Industries, which continued to send deferred payments to Kasich through 2012 for his former role as a director of the company. Employees of the firm have donated hundreds of thousands of dollars to Kasich’s campaigns, including $10,000 from CEO John McConnell one week after JobsOhio awarded Worthington a tax break worth more than $100,000. The Kasich Administration, which did not respond to requests for comment, has said the governor is no longer linked with Worthington — a statement supported by the state Ethics Commission — and that the criticism over the deals are a political ploy by Democrats. A recent review by the Ethics Commission found that nine directors and employees of JobsOhio had financial ties to entities that have either received incentives from or had contracts with the organization. JobsOhio has not replied to phone calls or emails, but a spokeswoman, Laura Jones, has said publicly that all staff and directors comply with a conflict of interest policy. She said the financial ties do not represent conflicts because the interests are small and because directors do not decide which companies get money; agency staff make recommendations to a separate state agency, which makes the ultimate decision. While that is true, an August report by the Columbus Dispatch found that since 2009, the five-member government board that makes the final decision has not cast a single vote against the recommendations it received. Newspaper editorials have generally supported the idea of a streamlined, public-private JobsOhio, but criticized its secrecy. 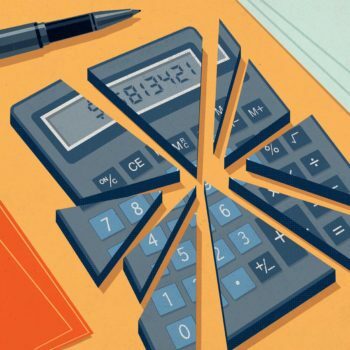 “A state-authorized corporation whose operating funds derive in part from a bond issue underwritten with public dollars needs to be more transparent, not less so,” the Cleveland Plain Dealer wrote in a March editorial. ProgressOhio has sued the state, arguing the liquor sales lease is illegal. Wisconsin Gov. Scott Walker also created a public-private entity, the Wisconsin Economic Development Corporation, in 2011. While the corporation is subject to the state’s public records laws, it’s suffered a stunning string of mishaps, detailed in a series of news reports and two public audits over the past two years. A May 2013 legislative audit found that WEDC gave money to ineligible businesses, didn’t require financial statements from some incentive recipients and didn’t check whether companies were creating jobs. The corporation hired its fourth CFO in June (one of them lasted only 24 hours), only to see its third controller resign the same month. Corporation officials said they were committed to improving their operations, but an October report by the Milwaukee Journal Sentinel found that one in five companies receiving incentives still were not reporting their activities to the corporation. Iowa created a public-private partnership to take over business incentives as well, leading to some of the same controversies that have surfaced in Arizona, including allegations of excessive pay and poor transparency and oversight. Most states have created public-private organizations to market the state to business while retaining control over incentives within a government agency. Those arrangements have drawn their own scrutiny. Two funds under Texas Gov. Rick Perry’s control have spread hundreds of millions of dollars to corporations over the past several years, much of it to companies that have also donated heavily to Perry’s political campaigns and the Republican Governors Association, which he once led and which gave his campaign $1 million in 2006. The arrangement drew criticism that Perry was rewarding companies for political support. Watchdogs and lawmakers from both parties have also questioned whether the funds are effective and have called for independent audits. Perry’s office has countered that the funds have created tens of thousands of jobs and that legislative leaders must approve each deal, providing adequate oversight. 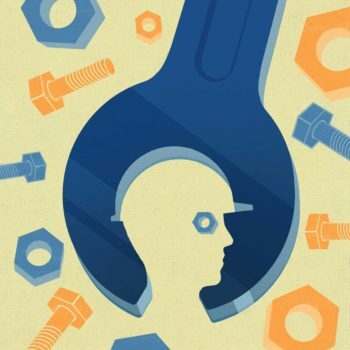 Proponents of public-private partnerships say they streamline economic development work. Morfessis of the Greater Phoenix Economic Council says they show the business community that government is prepared to work with the private sector, and that the groups are actually less prone to abuse than their fully-public counterparts because the private sector demands strong accounting practices. 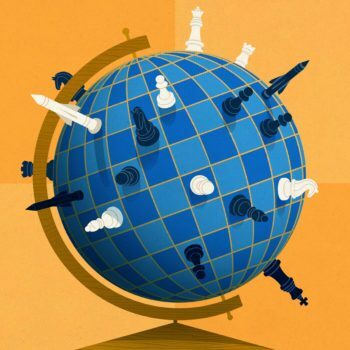 Quasi-public entities also allow the organizations to pay higher salaries, theoretically allowing them to compete for top talent in a competitive field. A harvest in the desert? About 50 miles west of Phoenix, over a spine of jagged peaks called the White Tank Mountains, empty desert spotted with creosote bushes and the occasional saguaro cactus stretches to the horizon. But the city’s real estate titans see a future there, and they own the land that could make it happen. A handful of private developers have bought tens of thousands of desert acres that local municipalities have annexed to make way for sprawling developments. Douglas Ranch, as one of the properties is called, covers nearly 34,000 acres and is slated to house 300,000 people and include 55 million square feet of commercial space. The plans have sat idle for years, victims perhaps of the recession-fueled real estate bust. But the developers see hope in a proposal to build a new interstate highway that would connect Phoenix and Las Vegas and serve as part of a “CANAMEX” route linking ports in Mexico with the Pacific Northwest. Several of the project’s biggest supporters now sit on the board of the Commerce Authority, which has been one of several state agencies pushing over the past couple years to make the road a reality. Douglas Ranch is owned jointly by JDM Partners, Jerry Colangelo’s development company, and El Dorado Holdings, which is led by Mike Ingram, another authority board member. JDM Partners owns a second, smaller property that borders Douglas Ranch. Four other current or former board members either have direct financial interests in building the road or are otherwise involved in pushing for its construction. While the Commerce Authority has expressed support for the road, its exact role is unclear. In March 2011, before the authority was fully operating, Colangelo told a local government group that board members had already been discussing the project. As of publication, the authority had not responded to a public records request filed September 3 seeking details on its support for the proposed road, known as Interstate 11. It’s also true that, because the Brewer administration is a strong proponent of the project, even a fully public agency would likely play a similar role. The state Department of Transportation, along with its Nevada counterpart, recently funded a study arguing the economic benefits of the road. But the melding of public and private interests raises questions about whether board members can make independent decisions for a quasi-public agency. In April 2012, Colangelo gave a presentation at an economic development summit for the West Valley region where he pressed the need to improve the area’s transportation. He showed an image of Douglas Ranch with a bright yellow dotted line cutting through the middle, representing a proposed interstate route. The road would surely boost the value of the land. For his presentation, Colangelo was introduced as both the co-chairman of the Commerce Authority and as a principal partner with JDM. Colangelo has not publicly addressed the potential for a conflict of interest. None of the board members with a stake in the road agreed to an interview. While it would be years before the road is built — if it is built at all — last year Congress designated the road as an interstate corridor, a largely symbolic gesture that gives it a number but does not promise funding. The proposed interstate is not the only issue raising questions about possible conflicts-of-interest at the Commerce Authority. The authority has given about $13,000 in grants to two small arms manufacturers owned by board member Gary Abrams. It also contributed an undisclosed amount to help sponsor the Basketball Hall of Fame’s second-annual Jerry Colangelo Golf Classic, which took place in September. 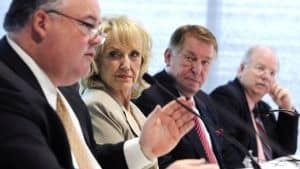 “If you’re able to pick winners and losers like this with the Commerce Authority, the winners are always going to be the people who are better connected to the people on the board and the politicians calling the shots,” said Scot Mussi, executive director of the Arizona Free Enterprise Club, a free-market advocacy group. The authority has a conflict of interest policy that says directors and employees must disclose potential conflicts and cannot vote on matters that affect their financial interests. However, the authority would not respond in regard to whether any board members have announced conflicts or recused themselves from votes, and none of the public board meeting minutes make any mention of the issue. Other states have had more glaring potential conflicts. In Florida, for example, where many board members have donated $50,000 to the public-private Enterprise Florida, several incentives have gone to companies that are represented on the board, according to reports by good-government group Integrity Florida and the conservative Americans for Prosperity Florida. Over the past decade, a few states have eliminated public-private partnerships for economic development after determining they were ineffective, including California, which abandoned its effort in 2010. Others, such as Connecticut, have considered the proposition only to study it and abandon the idea. North Carolina is currently in the process of transferring at least some of its economic development work to a new public-private entity, but the transition has been bumpy. Earlier this year, a bill that would have created a public-private partnership appeared ready for passage when at the last minute, someone attached an amendment that would have allowed for hydraulic fracturing, the controversial oil and gas drilling technique which is not yet in use in the state, scuttling the bill. It was unclear why fracking was included in the bill, but a clue emerged in July, when Commerce Secretary Sharon Decker told a group of business and community leaders that she wanted to create an incentives fund, similar to those in Texas, with proceeds from a tax on fracking. Decker promised that, unlike Perry, she wouldn’t “go as crazy” with the fund, adding, “I’m glad the press isn’t here.” But a reporter from the News & Observer in Raleigh was, in fact, there to report the comment. The bill contained some provisions that watchdogs welcomed, such as a ban on board members’ companies receiving grants. After it failed, Gov. Pat McCrory won language in the budget allocating money for the Commerce Department to begin the process anyway. Decker, the commerce secretary, has said she will use the legislation as a guide, but it’s unclear whether those provisions will survive. In September, the state filed papers for a new nonprofit corporation that Decker said should be operating by March. In Arizona, the controversy had largely died down until the Capitol Times reported in June about a line in the state budget that allows the authority to loan $2 million for a specific rural railway project. The arrangement, and the authority’s activities in general, have rankled the state’s vocal libertarian contingent. Byron Schlomach, the director of the Center for Economic Prosperity at the Goldwater Institute, said he’s skeptical of economic development initiatives. “To me, all it is is a very expensive ticket for politicians to show up at a ribbon cutting ceremony,” he said.